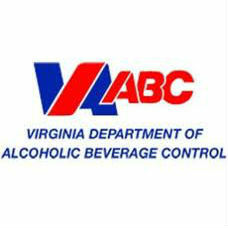 Starting Sunday, July 1, 14 laws go into effect that impact the Virginia ABC, its licensees and applicants for ABC licenses. The Virginia General Assembly passed the following Virginia ABC-related legislative proposals during the 2018 session, and they were signed into law by Governor Ralph Northam. This law increases the ABC general license application fee from $65 to $195 and the application fee for mixed beverage special event licenses from $15 to $45. The law also increases the state tax on wine shipper’s licenses, beer shipper’s licenses and wine and beer shipper’s licenses from $95 to $230. This proposal was the result of discussions with industry stakeholders regarding the agency’s increased efforts to process applications in a timely manner. Additional revenues will be used to support Virginia ABC Bureau of Law Enforcement operations. This law removes the requirement that applicants for certain ABC licenses provide a written statement, under oath. Instead, applicants will swear and affirm that all of the information contained in the application is true. This change will allow Virginia ABC to continue to move towards being paperless with the implementation of its new licensing system. This bill directs Virginia ABC to establish and appoint members to the Virginia Institutions of Higher Education Substance Use Advisory Committee, with the goal of developing and updating a statewide strategic plan for substance use education, prevention and intervention at Virginia’s public and private institutions of higher education. This law permits electronic records of retail licensees to be stored off site under certain conditions, provided that such records are readily retrievable and available for electronic inspection by Virginia ABC or its special agents at the licensed premises. This law allows licensed distillers to include in samples, spirits or vermouth not manufactured on the licensed premises, provided that at least 75 percent of the spirits used are manufactured on the distillery’s premises. Distilleries may keep no more than 10 spirits not manufactured on site. The law also increases the number of banquet licenses for special events a licensed distiller may purchase per year from four to eight and allows the licensee to sell samples of spirits at such special events. HB 486. This bill adds property related to the Old Prices Fork School Comprehensive Community Revitalization project for which a mixed beverage license may be issued without requiring a local referendum. HB 1602 and SB 61. This law creates a new confectionary license which authorizes the licensee to prepare and sell confectionary that contains five percent or less alcohol by volume for off-premise consumption. SB 588. This law expands the privileges of the existing annual mixed beverage special events license to include museums or other facilities owned by the locality and used primarily for historic interpretation. SB 769. This law allows museum licensees who operate a museum located in the Town of Front Royal that is dedicated to educating the consuming public about historic beer products to sell beer for on-premises consumption in areas approved by the Virginia ABC Board of Directors. HB 1520. This law allows any private swim club operated by a duly organized nonprofit corporation or association to allow its members to bring and consume lawfully acquired alcoholic beverages onto the premises. HB 1005 and SB 174. This law permits wine wholesalers to have designated exclusive sales territories. This law matches how beer franchise territories are currently structured. HB 820 and SB 382. This law requires that before any wine or beer may be delivered to a retail licensee for resale, the wine or beer must first be delivered to the licensed premises of a wine or beer wholesaler, unloaded from the transporting vehicle, kept on the licensed premises of the wholesaler for not less than four hours prior to reloading on a vehicle, and recorded in the wholesaler’s inventory. HB 422 and SB 306. This law requires that when a brewery licensee sells at retail the brands of beer that the brewery owns, at least 20 percent of the volume of beer sold for on-premises consumption in any calendar year shall be manufactured on the licensed premises. This law has a delayed effective date of Jan. 1, 2019, with a further delayed effective date of April 30, 2022, for Deschutes Brewery in Roanoke.